Your business may need some level of online presence if it is to achieve much-needed success in 2019. However, knowing there are many website hosting providers, finding the right one with the capability to handle your business operations can be a frustrating process. If you are unfortunate and pick the wrong hosting plan or provider, your sites will break down often. Some providers’ support personnel do not keep up with the common problems facing business websites. Some will offer substandard page resources management services. You will have lost money and time in the process. To help you out, we carefully worked out five tips that will guide you through the process of selecting the right hosting service to take your business online successfully. To perform a successful comparison between multiple hosting services, you should pay attention to some factors. A great way to start is by going through quality reviews from platforms such as The Hosting Institute. Here, you will get some in-depth comparisons of hosting service providers such as SiteGround and InMotion. The time and money you will save are well worth it. You must think about your budget, your goals, and your possible traffic at first. Having that in mind, you must choose a plan that fits your business’s size with the possibility of growing it. Depending on your experience with web pages and all its complexities, you should find a hosting service that allows you to manage your website easily, even with little knowledge. This is an important question. To grow your business to amazing heights, you must know that you will have to deal with traffic peaks. You will probably need more than one webpage. Your plan should contemplate all this and more, helping you to deal with the less good part of having a lot of visitors and popularity. Also, it would help if you chose a storage package that will allow you to add all the content you want while keeping your site afloat. Good support is crucial to your business success, and this is a great way to compare hosting services. Look out for any complaints or red flags that show a weak support team. Even if you do not need it at first, especially if your knowledge is limited, there will come a time when you need to contact support. Therefore, you must be sure that on the other side, there will be someone able to guide you and help solve your website’s issue in a fast and efficient way. People do not like waiting around. Therefore, your website must load fast and ensure fluidity to create an excellent experience for your visitors. Compare the speed tests between several hosting services to understand if they will be able to keep up with good speed. Another important requirement is to minimize downtimes. Your site should always be online and steady, without any breaks that will slow your business and drive away your customers. 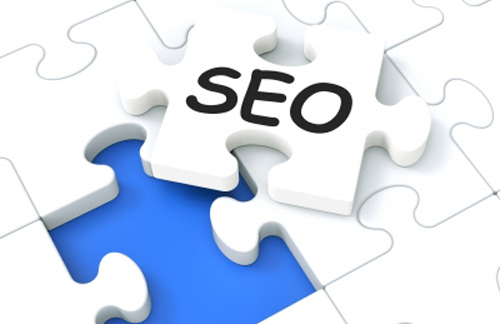 Are User Experience and SEO at Loggerheads?